How do I use MyTurboPC? Before you scan your computer you can choose what type of items MyTurboPC will remove by clicking on the Settings tab. Choose Privacy Settings or Registry Settings to manage what will be detected during your scan. When you’re ready to begin the scan click the Home button and then the Click to Start Scan button. After the scan is completed, you can choose what you would like to fix. When you scan has finished you will see a computer Health Level Indicator that shows the overall health of your computer. You will also receive a summary of detected items where you can review all of the proposed fixes and then decide which ones you would like to perform. In order to fix the errors or problems found by MyTurboPC, you must either click the green button next to the category you wish to fix, or click Fix All to repair everything. For certain items, MyTurboPC may need to restart your computer. Please save any work and close other programs before fixing problems with MyTurboPC. MyTurboPC also includes many other tools to help you optimize your computer and clean up disk space. These include a Process Manager, Startup Manager, Browser Helper Object Manager, and others. 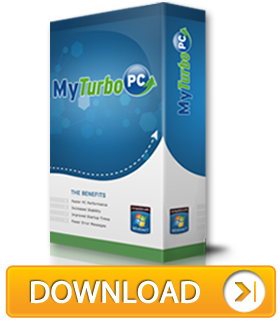 Additionally, MyTurboPC provides functionality to find duplicate files, manage system restoration, defragment disks and clean up Internet history. All of these tools are readily available from within the control panel in MyTurboPC.